During 2017, the DIA Group worked on a transversal project, reviewing and adapting a large part of its store network in four of the countries in which it operates. 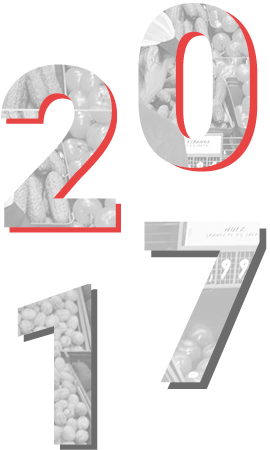 The company’s store development plans during 2017 has been driven by the implementation of new services aimed at making the customer experience easier, the strong focus on fresh food, the innovation related to the assortment (which is being adapted to sales rather than space in stores), and the use of new technologies, allowing for greater synergies between the offline and online environments. Some examples of the company’s efforts to adapt and fine-tune its commercial offer to consumers’ changing habits include the start of the remodelling project involving the entire network of DIA Market stores in Spain, the start-up of the new Minipreço Express format in Portugal, and the reopening of the first remodelled Maxi stores in Argentina and Brazil. DIA converted 613 in 2017 (of which 150 in franchised stores), doubling the 307 upgrades completed last year. This process had a temporary impact on sales volumes, as the stores were closed for several weeks while they were being converted into the new commercial models Accordingly, the company invested EUR302.6m during 2017, both in remodelling and new openings. During 2017, the company began to transform and adapt its DIA Market proximity stores in Spain, with the aim of improving the shopping experience for its customers, offering a wide range of services and an assortment adapted to their daily shopping needs. At the end of 2017, 224 stores had already been remodelled, although this programme will involve more than 2,000 stores in total, both own stores and franchised stores that operate under its banner. In these new DIA Market stores, own-label products have a higher profile, as is the case with the gourmet product line called Delicious, which has its own space in all the stores. Lastly, store lighting has been changed to LED technology, which in addition to the associated energy savings, creates a warmer, more welcoming atmosphere for customers, to which the company has also added background music, which is a first in this store format. Regarding the Minipreço Market proximity stores in Portugal, the company continued the remodelling process that began in 2016. More than 200 stores in this traditional proximity format have been remodelled in the last two years. In these stores, a greater emphasis has been placed on fresh food, and new services have been added that complete the customer experience: meat and delicatessen counters, a cafeteria, takeaway areas, and roast chicken stands. 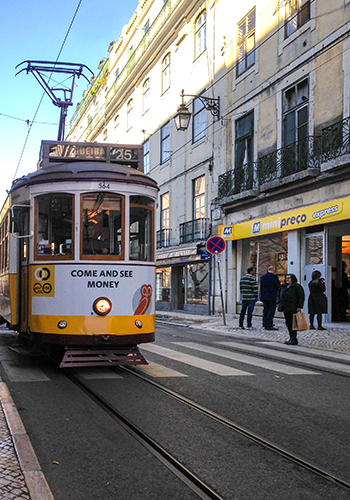 In addition, the company has created a new store model under the Minipreço Express banner that leverages on the concept of high convenience; by the end of 2017, the first stores had been opened. Located in urban areas with a high level of footfall, the offer of these new stores, which also changed their original green colour to yellow, have juicing machines (where customers can prepare their own juice), instant coffee machines, hot soup dispensers, an area with takeaway food, fridges with cold drinks, and a greater presence of the Delicious gourmet product range and regional Portuguese products. The group’s attraction format, Maxi in Spain and Family in Portugal, has also been involved in a remodelling process. Leveraging on the synergies obtained through various acquisitions and partnerships, the DIA Group has made progress in this area since it began last year, with 257 stores remodelled during 2017. 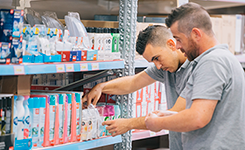 With more than 4,000 SKUs, consumers have the option to broaden the range of products in their shopping basket, with family-size and large formats occupying a high-profile place in the assortment. 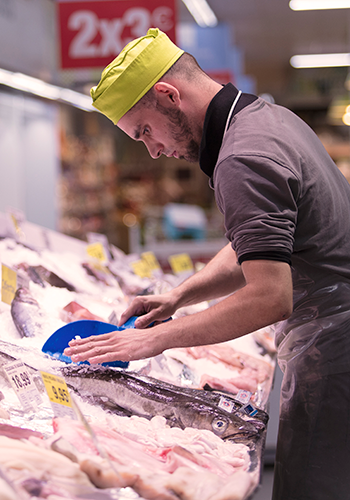 This format includes fish, delicatessen, and meat counters. The fruit and bread sections have also been renewed, as well as the way products are displayed, in a bid to make the shopping experience more pleasant. The perfume section includes a wide range of beauty, personal care, and hygiene products, with a significant presence of its own-label Bonté products. In 2017, in Argentina and Brazil, the DIA Group initiated a transformation process of its longest-running formats there, DIA Market and DIA Maxi (known in Argentina as Maxi Ahorro). In Argentina, the company has started to develop the new attraction concept, with the remodelling of the Maxi Ahorro stores. These new stores include services such as longer checkouts, background music, a wider range of fresh produce, and free WiFi for its customers. 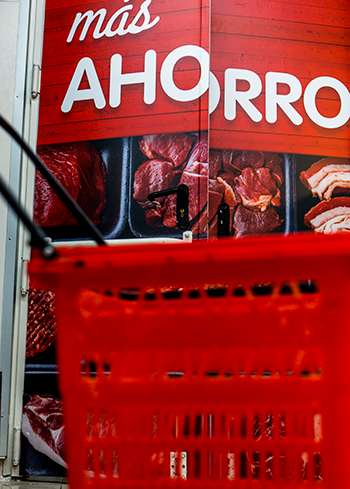 At its Maxi Ahorro stores, the company aims to improve the customer’s shopping experience, while attracting new customers with the same commitment of offering the best prices and the best offers. This remodelling initiative has also been applied to the stores in Brazil, with new services implemented, along with other improvements, at the group’s Maxi and Market stores. In both cases, a promotional area has been set up, there has been a bigger focus on promoting own-label products, and the assortment has been optimised by using specific display cabinets for the “Delicious” gourmet brand. Improvements have also been made in relation to the shopping experience, by eliminating the fifth shelf from the shop displays, which improves product visibility, and by changing the lighting in the fresh produce area to make it stand out more. The group’s proximity supermarket format, La Plaza de DIA, has now been operating for three years, during which time it has seen constant change to adapt to customer needs, and it has implemented an expansion plan that led it to have a total of 306 stores in Spain at the end of 2017. At the end of 2017, the company had made significant progress in the transformation and adaptation of a large number of stores in premium locations. There are now 100 La Plaza de DIA stores, which now include new services and a wider assortment, aimed at improving the proximity offer and the fresh produce available in these formats. Improvements made in these stores during 2017 include installing fresh orange juice machines, a wider range of bread, new exclusive spaces to make own-label products stand out, a wider assortment of the Delicious gourmet brand products, a roast chicken machine, and more welcoming lighting. Max Descuento is the DIA Group’s banner focused on the hotel, catering and food channel, and it made progress in 2017 both in terms of its remodelling and adaptation process and in terms of new openings. 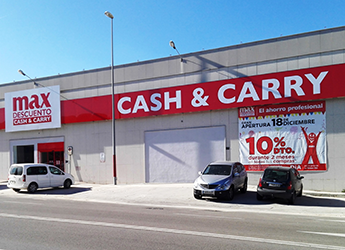 The Cash & Carry business in Spain has a much broader assortment aimed at meeting its customers’ needs, with larger formats and solutions aimed at the professional segment. The Max Descuento banner represents a modern, light, and accessible store format with an assortment of over 3,800 SKUs adapted to the hotel, catering and food industry, and also includes products for small grocers, groups, and other types of small businesses. In addition, it includes a snacks and confectionery section, along with an improved professional delicatessen section. The format also has an extensive range of professional bazar products. During 2017, the Max Descuento banner has added two new stores to its network in Malaga and Alicante. Currently, has 36 stores across seven autonomous regions in Spain (Andalusia, Aragon, Asturias, Castile-Leon, Extremadura, Murcia, and the autonomous Community of Valencia), with a total surface area of more than 35,900 square metres, and a workforce of more than 250 employees following the opening of the Malaga store. Therefore, as a result of the company’s omni-channel policy, during 2017 the online sales channel was launched. From 2017, registered customers can have their orders delivered to anywhere in Spain, with the exception of the Canary Islands. The Clarel banner, specialised in household, perfume, and personal hygiene products, has also made progress in terms of optimising and adapting its offer. The redesign process that was put in motion last year, which focused on giving stores a more modern image with a wider product range and better visual communication, continued during 2017, accompanied by an expansion plan focused on the franchise format. Accordingly, 39 new Clarel stores have been opened under the franchise format, currently representing 146 stores. Leveraging the synergies from all the formats, in 2017 the company also added exclusive Clarel spaces in 14 La Plaza de DIA stores. These areas are set up inside the stores using the design and image of a Clarel store, and offering customers a selection of products from the Clarel range. At the end of 2017, the DIA Group had 1,251 Clarel stores in Spain and Portugal, which have also been used to generate synergies with the company’s other formats in relation to cosmetics, perfume, and household products, introducing the Clarel range to markets such as Argentina and Brazil, where it does not yet have any stores.